In Power Rangers: Heroes of the Grid, the players take on the roles of the original Mighty Morphin Power Rangers to battle the forces of darkness. 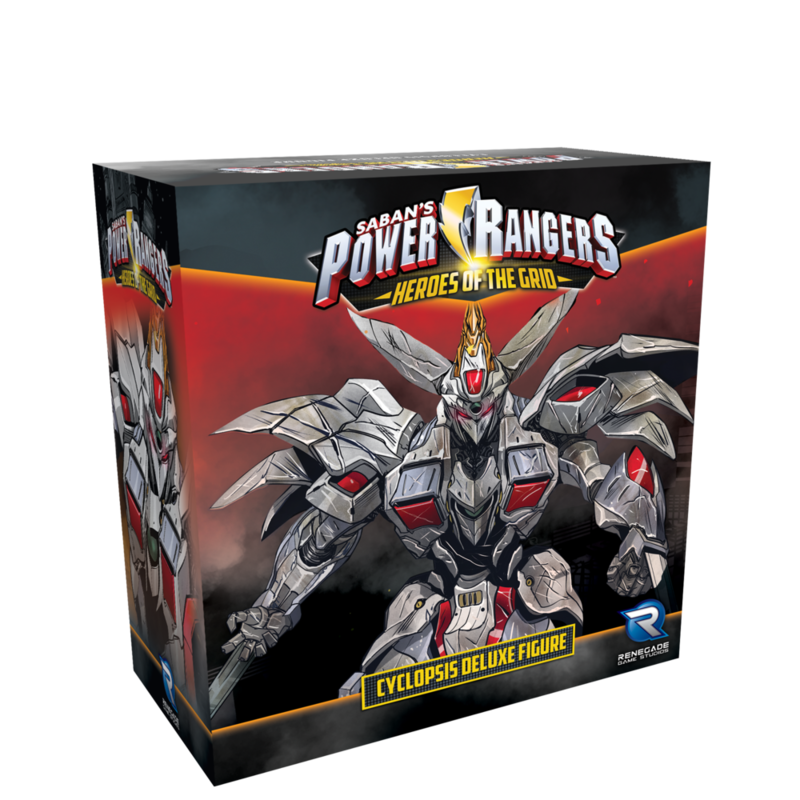 In this core game box, you will face Rita Repulsa and her relentless swarms of Putty Patrollers and Super Putty Patrollers, as well as formidable monsters like Bones, Knasty Knight, Madame Woe, and Pudgy Pig. This is an expansion for Power Rangers: Heroes of the Grid. Once all five Zords have been summoned, the Rangers can unleash the powerful Megazord! 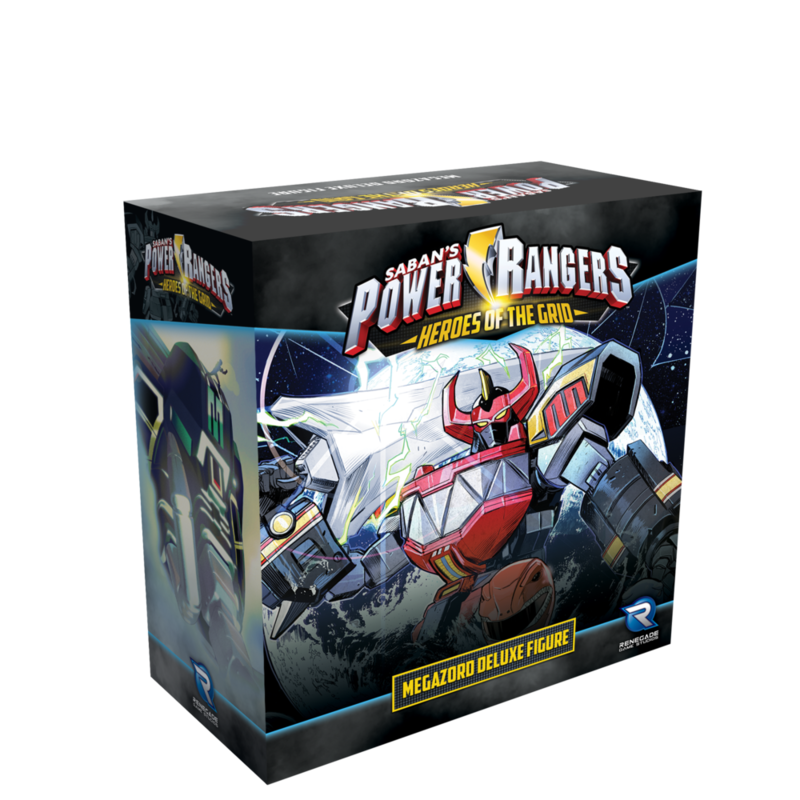 Upgrade your Megazord token from the base game with this giant-scale Megazord miniature! Face off against one of the Power Rangers’ toughest enemies ever - Cyclopsis! This War Zord, represented by a giant-scale miniature, will not go down easily. The Power Rangers will need to intensify their attacks to vanquish these evil villains! Swarms of foot soldiers relentlessly try to wear down the Power Rangers! Bring extra color to the battle with this set of 14 translucent dice!